Christmas Music | Christmas Music For Everyone! Celebrate the most wonderful time of the year with the best Christmas songs of all time! The best holiday hits, new and old, can be found right here. 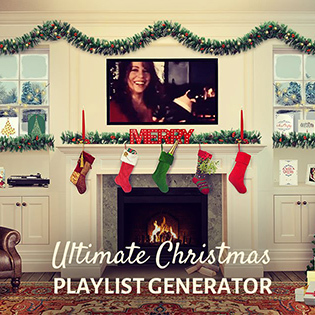 Your own custom Christmas playlist is just a click away! Traditional holiday favorites and classic Christmas songs. Andy Williams, Elvis, Frank Sinatra, Bing Crosby, Tony Bennett, Michael Buble, Nat King Cole, and more! All I Want for Christmas is You, plus holiday pop hits from Mariah Carey, Pentatonix and more! Celebrate the holidays with the Certified Christmas Classics Playlist featuring holiday hits by Run-DMC, TLC, Luther Vandross, Whitney Houston, Chris Brown, and more! Holiday party playlist with uptempo pop hits. Pentatonix, Wham!, Mariah Carey, Fifth Harmony, Ariana Grande, Meghan Trainor, *NSYNC, Glee, Britney Spears, and more! Fill your holiday with the festive music featuring The Piano Guys, Alexis Ffrench, and Yo-Yo Ma! Perfect for a quiet, calm, silent night. Country Christmas hits! Kenny Chesney, Brad Paisley, Alan Jackson, Willie Nelson, Martina McBride, Carrie Underwood, Johnny Cash, Dolly Parton and more!